The shorter height of these boots makes them even more versatile. 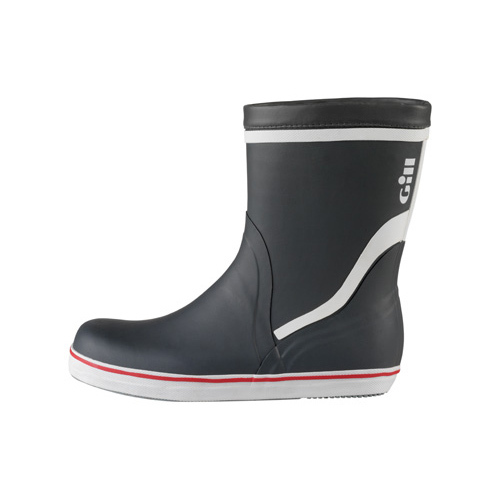 Gill's no-frills Short Cruising Boots are perfect for coastal and inshore cruising. Making a good impression on a first date, not so much. Unless your date also happens to be a diehard sailor. Then you're likely going to be enjoying your second date on the water. Just slip them on and forget about wet feet since they're made of naturally waterproof rubber. You won't be slipping on your wet, heeling deck with their razor cut soles, and they're also non-marking so ugly black streaks won't make their appearance on the white gelcoat. Gill has added a quick-drying polyester lining so your feet will stay dry as the action heats up. When your cruise (or date) is over, just remove the cushioned inner soles and let your boots thoroughly dry out. Then they'll be ready for whatever happens next. Imported.